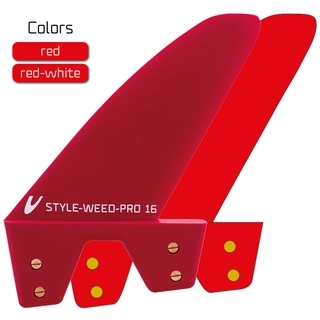 We have adapted our Style-fin for all freestylers in weedy waters. The Style Weed has more rake to get rid of all the weed. A perfect freestyle fin that will never let you down: Powerful in jumps, extremely turnable for unbelievable slides and yet easy to control. The market leader from Baltic Sea to Brazil!